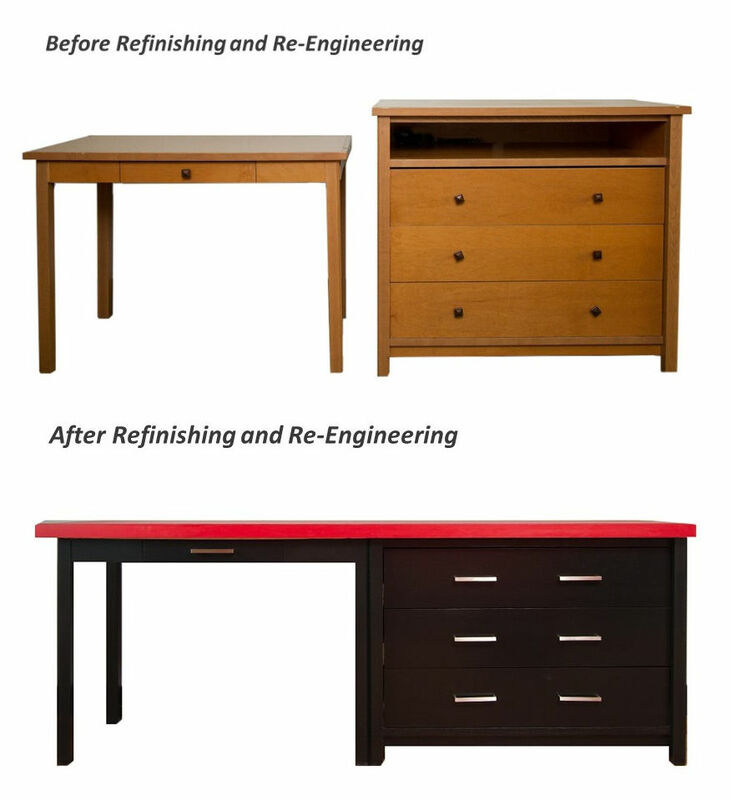 The Refinishing Touch specializes in reimagining furniture through reengineering. We take pieces formerly at the end of their lifespan and repurpose them through an innovative design technique. Some pieces need reconfiguration, others need total reinvention. Styles change, technology presses forward, and sometimes the need for a specific piece of furniture becomes outmoded. That’s why we’ve pioneered ways for furniture to be repurposed rather than replaced. 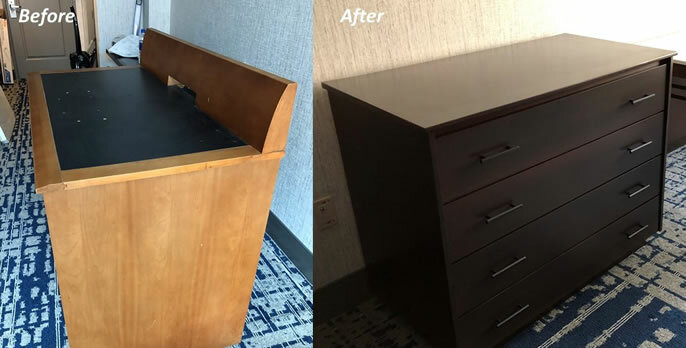 The Refinishing Touch has myriad solutions enabling us to restore your current assets to make them more functional, durable and unique. We offer a full spectrum of services from changing color, adding stone, laminate or glass elements, and changing the hardware. You get like new furniture at a fraction of the price. Click here to view The Refinishing Touch’s wide variety of granite, quartz and laminate surfaces for your furniture re-engineering needs.